‘Garden’ brings to mind a place of relaxation, a beautiful canvas of colour and natural beauty and an escape from the busy, crowded, polluted atmosphere. In the ever increasing polluted world of today, gardens are the ‘lungs of the city’, especially in big towns and cities. People crave to have gardens in their residential complexes or vicinity and thus more and more beautification and creation of green areas is being undertaken by the municipal corporations. However, India, having been a country ruled by Kings and Emperors in the past, has been fortunate to have been beautified with many spectacular gardens over the years. Listed below are a few such places, spread across the country. Situated on the foothills of Zabarwan Hills, the Indira Gandhi Memorial Tulip Garden or Siraj Baugh or Tulip Garden (as better known) is the largest tulip garden in Asia. 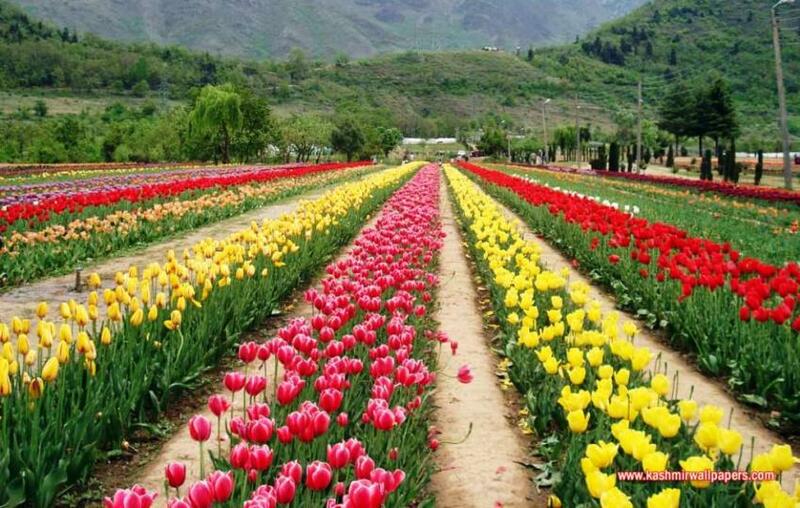 This breathtaking, five hectare area, of more than 70 types of tulips and roses is located close to and offers a wonderful view of the picturesque Dal Lake. With a terraced style layout, this garden consisting of seven terraces also has several other different kinds of flowers like hyacinth, daffodils, ranunculus and many more. It looks most spectacular during the Tulip Festival, one of the largest in Asia, held during the month of April. 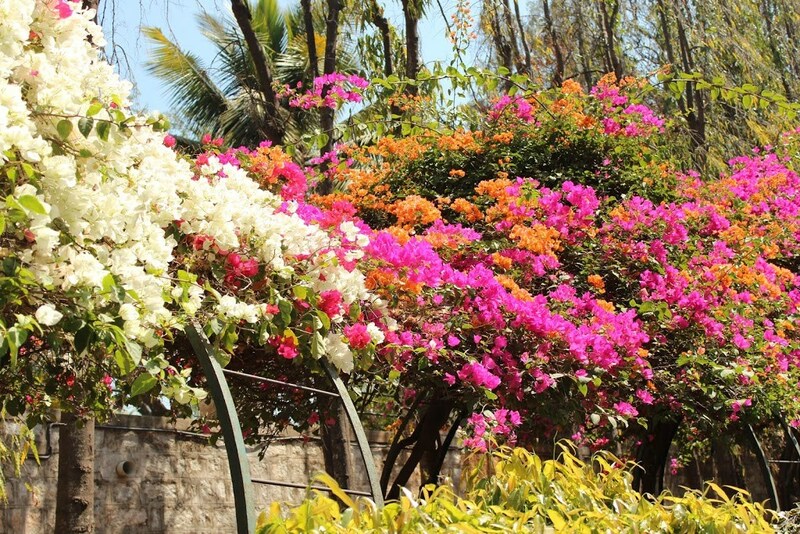 The best time to visit this garden would be from March to May, as the flowers bloom beautifully during this period. Timings: 9 am to 7 pm everyday. Shalimar Bagh is one of the largest Mughal gardens in Srinagar, linked through a channel to the northeast of Dal Lake. Also called Shalimar Garden, Farah Baksh and Faiz Baksh, this garden is also now well known as ‘the crown of Srinagar’. Designed in the Persian style of architecture, this garden is a sight to behold with its beautiful manicured greens, water fountains and arched niches (chini khanas) behind garden waterfalls, which is a unique feature of this garden. These niches, which were accentuated with oil lamps in the earlier days, creating a lovely glow behind the waterfalls, now hold flower pots that add colour and beauty to the cascading waterfall. 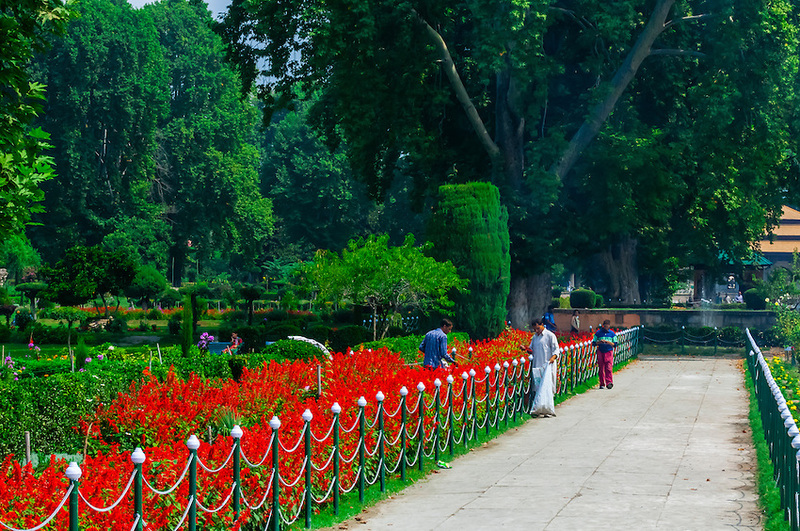 One of the most visited attractions in Kashmir, this garden is considered to be very beautiful during the autumn and spring seasons, due to the changing colour of the leaves of the abundant chinar trees lining the garden. Timings: 9 am to 7 pm. Friday Closed. Built at the foothills of the Himalayas, in the city of Pinjore on the Ambala-Shimla road, Yadavindra Gardens or as formerly known, Pinjore Gardens, was built during the reign of Aurangzeb as a summer retreat for him. Regarded as one of the best Mughal gardens in India, it is constructed in much the same way as Shalimar Bagh in Srinagar. The garden is layered in seven terraces and contains Rajasthani-Mughal styled palaces, arched doorways, water fountains, cypress trees, flowerbeds and fruit groves. The whole complex is beautifully illuminated and also contains an old restored heritage train which can be used to visit all the monuments and gardens in the complex. Major festivals like the Pinjore Baisakhi festival in April, the Pinjore Mango Mela in July and the very popular Pinjore Heritage festival in December are held in these gardens annually. This massive, amazing garden of lush green fields, which was built during the British rule, is located near Ranikhet, Almora. With more than 200 different species of plants and flowers here, the lesser explored Chaubatia is fast becoming a popular tourist attraction. The apple orchards and trees of plum, peaches and apricot are a visual delight for tourists. Situated close to this garden, is a picturesque 600 acre forest scattered with cypress, cedar, pine, rhododendron and silver oak trees, through which one can take a walk. The café inside the garden is an ideal place to relax and enjoy the wonderful beauty of this garden against the backdrop of the Himalayas. Fruits, juices and honey is available for purchase here. Timings: 7 am to 7 pm everyday. 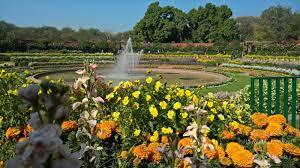 The majestic Mughal Gardens are located within the premises of Rashtrapati Bhavan in New Delhi. Famous as the most beautiful garden of the city, it opens its gate to the public only in the month of February and March. Incorporating a mix of typical Mughal design and the English flower garden, this terraced garden is beautified with water fountains, watercourses and around 70 varieties of seasonal flowers including tulips and roses. It also boasts of a herbal garden which has over 30 herbal and medicinal plants, a bonsai garden with around 250 plans, a cactus garden and a musical garden with twelve fountains. 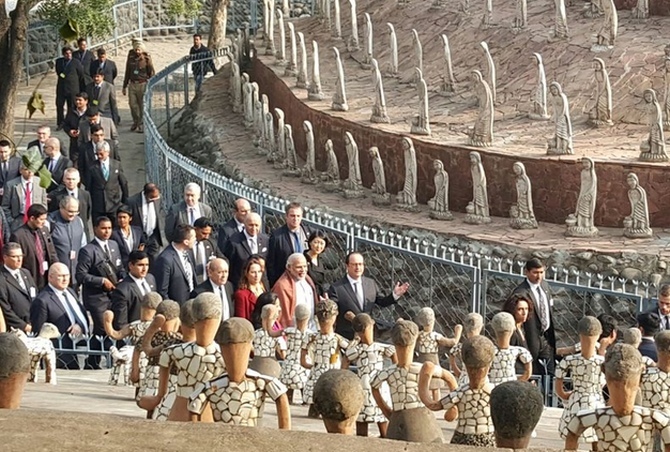 Nek Chand Rock Garden in Chandigarh is most famous as a unique sculpture garden. Having started as a passion and secret hobby in his spare time, by a government official named Nek Chand Saini, this garden today is spread over 40 acres and is completely built out of industrial and home waste and discarded items. Besides the usual manicured greenery, the garden consists of amphitheatres, bridges, staircases, man-made interlinked waterfalls and over 2000 sculptures that have been shaped from scrap and other kinds of waste such as bottles, glass, bangles, tiles, ceramic pots etc and placed along walled paths. With a footfall of over 5000 people daily, this garden is one of the most popular attraction sites in North India. Women of Chandigarh celebrate the Teej festival in this garden. Located in the Mandya district of Karnataka, Brindavan Gardens lies adjoining the Krishnarajasagara dam which is built across the Kaveri river. Extended over an area of 60 acres, this major attraction of Srirangapatna, is a symmetrical garden laid out in 3 terraces which contain water fountains, Ficus trees, plenty of flowering plants and foliage plants. The garden is beautified with topiary work (animal structures created by clipping shrubs), pergolas (passageways covered by creepers), gazebos and a musical water fountain. The garden also has a lake within its premises where one can enjoy boating facilities. 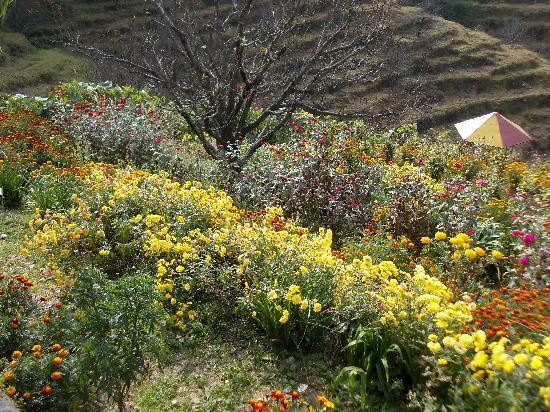 Adjoining the garden is an amazing fruit orchard which is spread across 75 acres and 2 horticultural farms, which one must visit when making a trip to the garden. The Government Botanical Garden in Ooty is stretched across an expanse of about 55 hectares and is situated on the lower slopes of Doddabetta Peak in the wonderful Nilgiri Mountains. 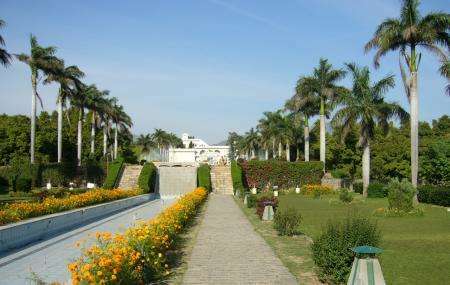 The garden is divided into several sections with a terraced layout and is maintained by the Tamil Nadu Horticulture Department. It has about a 1000 species of both indigenous as well as exotic plants, shrubs, ferns, trees, herbal and bonsai plants. 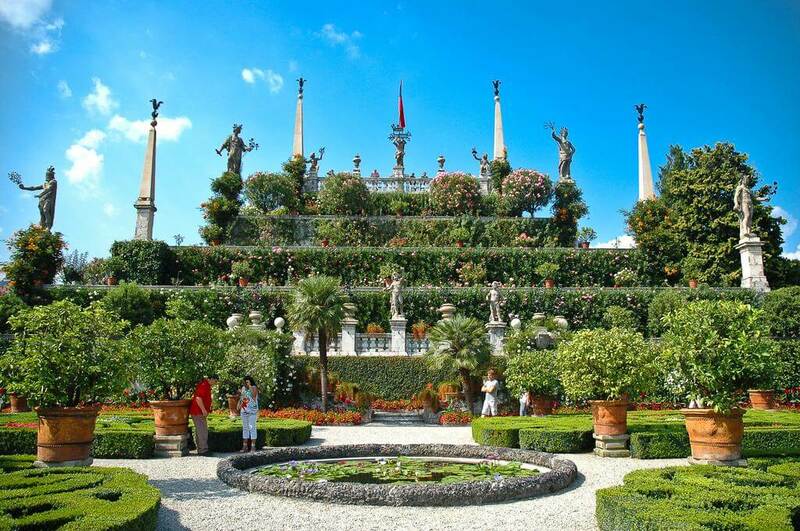 There are several lawns with flowering plants, flower beds and ferns structured in an Italian style, a variety of medicinal plants and ponds with lilies. There is a fossil tree trunk displayed in the centre of the garden, which is believed to be 20 million years old. The garden hosts its famous flower show in the month of May and this is a great time to admire the rich flora in all its colourful glory. Timings: 8 am to 6 pm everyday. A very popular tourist attraction in Mumbai, the Hanging Gardens are terraced gardens located at the top of Malabar Hills, on the western side. Also known as Pherozeshah Mehta Gardens, this place has numerous hedges carved in the shape of animals and lush greenery and is also located opposite the popular Kamla Nehru Park. The garden also offers a magnificent view of the sun setting over the Arabian Sea. Another attractive feature of this garden is its beautiful flower clock. People throng this garden for their early morning walks, yoga, jogging etc. It provides a respite from the otherwise crowded, bustling streets of the city and offers a peaceful and refreshing start to the day. Timings: 5 am to 9 pm everyday. 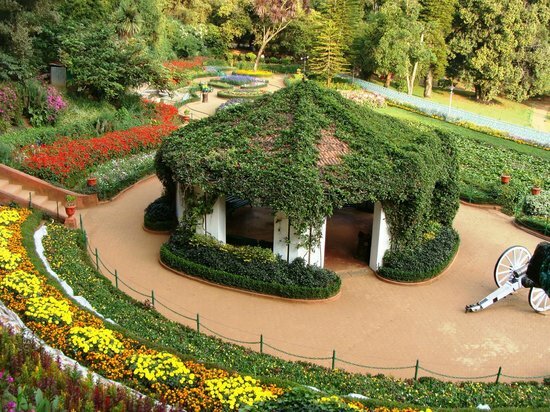 Lal Bagh is a famous botanical garden in South Bengaluru and known to be India’s largest collector of tropical plants. Home to a few species of birds like the myna, parakeets, pond heron, kingfisher spotted pelican and several others, this garden also has a lake making the garden a popular attraction in the city. The garden has over 1000 species of flora, trees that are over 100 years old and rare species of plants from Persia, Afghanistan and France. It is beautifully designed with flowerbeds, lawns, lotus pools, fountains and sculptures made of flowers. 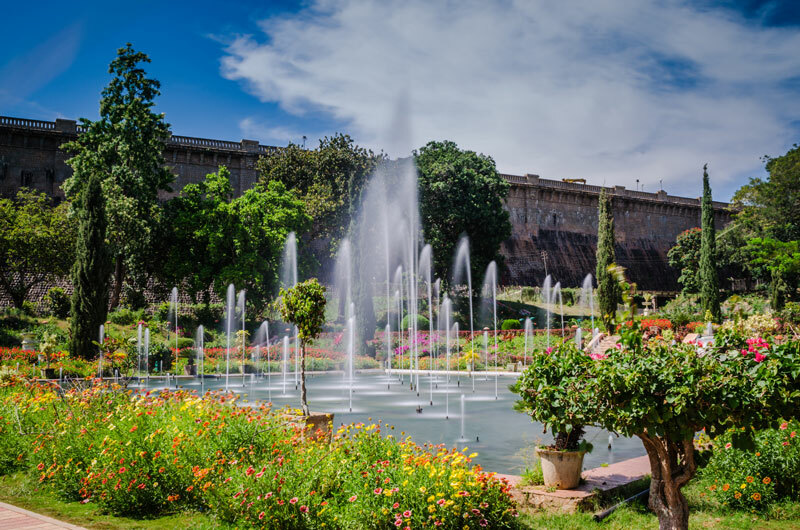 Another major attraction in this garden is the Lalbagh Rock, one of the most ancient rock formations on earth dating back to 3000 million years. The garden hosts a number of flower shows, the two most popular ones being those held on 26th January and 15th August.